We did it, humanity! We made it to 2018! Looked pretty iffy for a while there, but we got there in the end. Good on us! This is a bit of an update just in case anyone’s popping by this site wondering what the actual hell I’m up to, which is a fair question. Short version: still writing a lot for for loads of places, including getting sciency at Cosmos Magazine, being snide about Australian property at Domain, talking dad stuff at Direct Advice for Dads, ranting about music in The Australian and doing all sorts of other bits and pieces. You’re very welcome to follow me on Twitter and Facebook in order to be occasionally prodded about whatever stuff has been published that might pique your interest. THRICE-WEEKLY LEFTY SCREEDS ON PATREON! Three times a week I do a little rant about whatever eye-catching stuff is going on in politics, much as I did with my old View from the Street column in the Sydney Morning Herald but, typically, with rather more swearing and gifs of Spider-man. If you’d like to try before you buy you can read almost everything that’s been written so far FOR FREE! at my Patreon page, since they’re available to everyone after a week. But if you’d rather not wait seven days for my hot takes on whatever dumbarsery has just happened in Canberra then you can subscribe and get it right to your inbox the second I publish – and it will cost you a mere $3 per month! (That’s US, since it’s an American site. So… $3.26, at the current rates? Man, that’s still stupidly cheap). Come embrace the terrifying subscriber-led future of tomorrow’s journalism – today! THE LONG AND WINDING WAY TO THE TOP! 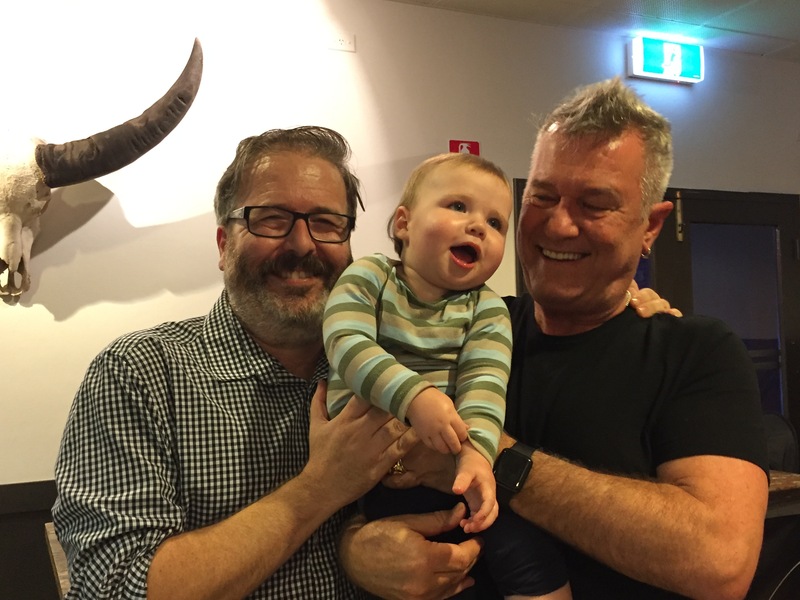 Look, if you’d had a book launch where Jimmy Barnes cuddled your one year old son, you’d shamelessly post photos of it too. My third book The Long and Winding Way to the Top: Fifty (Or So) Songs that Made Australia is getting very nice reviews and being totally buyable at shops, including Big W which is weird, and through people like Booktopia. And, of course, the indie bookstores that are the nation’s literary lifeblood. If you’re interested in knowing what the actual hell it’s about, Rolling Stone have a nice thing about it, and the Age/SMH published an edited excerpt of some chapters. Oh, and here’s a Spotify playlist of lots of the things in it. And if you missed my appearance on Conversations on ABC radio discussing it with the genuinely magnificent Richard Fidler, then you can listen to it right now! And, of course, you can buy a signed and personalised copy directly from me right here. It’s the perfect gift for that person for whom you can’t think of anything else to get! And while everyone’s going on about Australia/Invasion Day in increasingly strident tones, it’s a nice reminder that Australian music is one thing about which we can all be unambiguously proud. Goddamn, we have some amazing artists – and fifty (or so) of them get celebrated in m’book. AND THERE’S A NEW THING COMNG! …which I will let you know about shortly, honestly. God, this is already shaping up to be a frantic year. It’s nice to have you around, you know. Thanks for being there: I literally couldn’t do a damn thing without you.